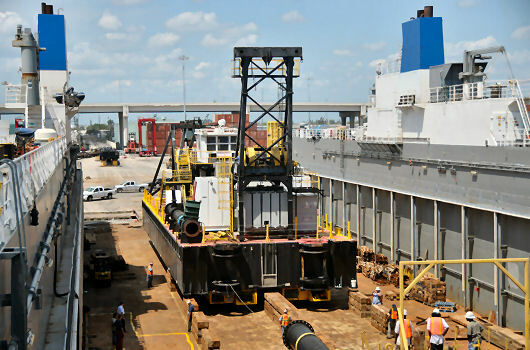 In April of 2009, the 550 t dredge SAM HOUSTON was successfully loaded out onto the dockship EXPLORER in West Palm Beach, FL. 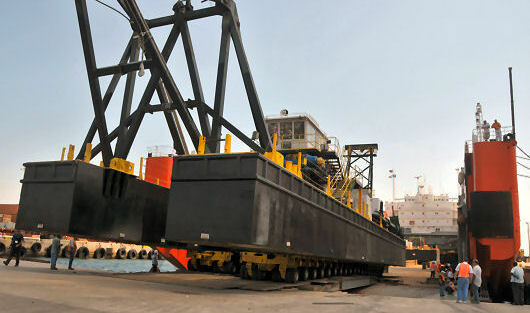 Because the ship's ramp could not be used, Argonautics Marine Engineering, Inc. was hired to assist with the load-out and transport engineering of the dredge, which was sold to Nigeria based owners. A site survey of the Ro/Ro quay was performed. Concept drawings for the load-out were provided. 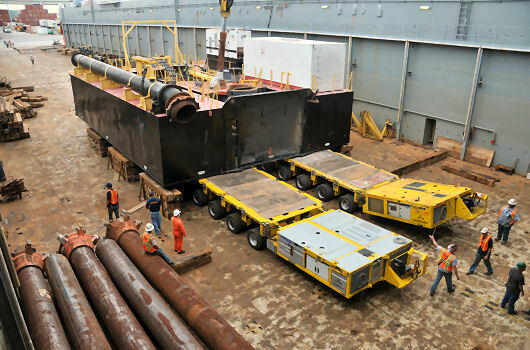 First the dredge's spud barge was rolled on to the ship and positioned onto its cribbing blocks. 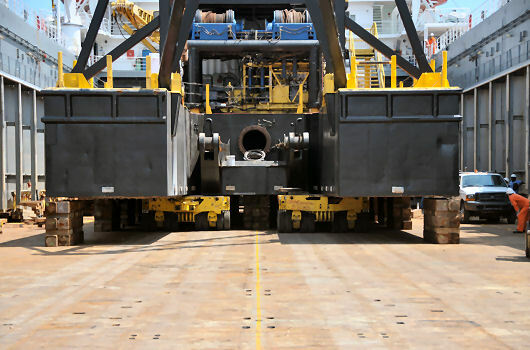 For the roll-on operation of the heavier dredge, the strength of the locally available Ro/Ro ramps was checked, resulting in the need for reinforcements of these ramps. After successful loading of the dredge, it was pinned to its spud barge and lowered onto the cribbing blocks. The dredge was then secured, using custom designed seafastening stoppers. Upon arrival in Nigeria, after lifting off all other cargo, the vessel submersed its dock deck and the dredge was be floated off. 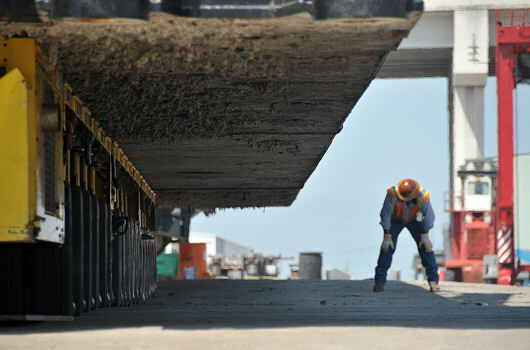 Provide on-site assistance during the actual load-out operations.